Yesterday, 29th January 2018 marks the first time that the Berlin wall has been down as long as it was up, the division of a nation that lasted the better part of half a century. The Mauerfall happened in 1989, a full 6 years before I was born; the same year my mother moved from West Germany to London (for unrelated reasons). And yet, for all its distance from my own life, the events of that day, and indeed the many decades preceding it, resonate with such emotional clarity for me. The first time I encountered this feeling was on my second trip to Berlin. Though my mother had taken both me and my brother in 2006, our interest back then was not in Berlin’s history; it was in the myriad museums. As I recall, we didn’t even visit the East Side Gallery, one of the last continuous remaining parts of the wall. I returned to Berlin aged 16, when I organised a trip for myself and fellow German students at my school following the cancellation of a school-organised exchange (I wasn’t going to let anyone rob me of an opportunity to skip a few days of class and visit one of my favourite cities!) Unlike my first visit, which took place during the winter months, this one was during early June and we had gorgeous, warm weather. For 5 days, I and 7 other boys (oddly enough, none of the girls in our class ended up going) walked Berlin’s streets, visited its museums and palaces and kayaked its lakes. On my return to Berlin in 2013, we managed to visit more culturally significant monuments; no longer children, and with several history students travelling with us, we strolled along the East Side Gallery one lovely summer’s evening. This served as much as a photoshoot as anything else – the graffiti that now covers the wall has turned it into an artistic hotspot – not to mention that we didn’t want to let golden hour go to waste! We also stopped by Checkpoint Charlie; now a delightfully small home-style museum. It is here that I first encountered one of the most powerful emotional experiences of my life. I can’t quite pin down how or why it occurred – it seemed as if as nowhere – but as I read information about the wall’s construction, the division of Berlin following the wall and the Berlin Airlift, something welled up deep inside of me. It was an inexplicable experience, one that I can barely put into words, but then as now I was struck by the sheer miracle of reunification of German, something that I have come to understand as one of the greatest positive events of the 20th Century; that a once-divided nation should reform with such peace and following decades of cataclysmic relations between east and west. Even now, as I type, the hairs on my arm are standing up on end. 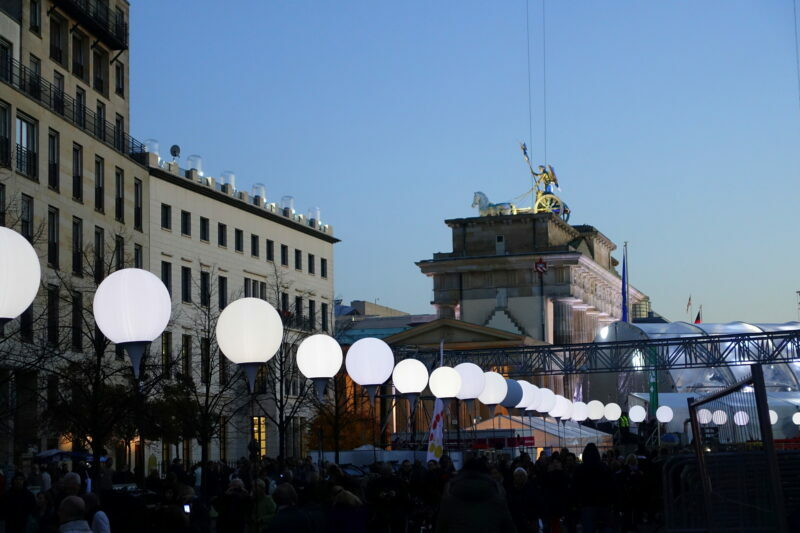 I have not returned to Berlin since those five days in 2013 – but the following years have only cemented these emotions as the reunification comes up in conversation with my grandparents and other native Germans from time to time. It is nigh-impossible to conceive of such a miracle happening in this day and age; it was impossible to think of back then, too. And yet it occurred, proving that there is hope yet for the many conflicts that are currently ongoing and proof, too, that no situation is too awful to rule out peaceful resolution in the future.